of the U.S. Naval Observatory published his catalog of 313 HII regions, and the catalog is comprehensive north of declination -27 degrees using the Palomar Sky Survey plates in 1959. (south declination -27, the coverage is only partial) An HII region is a cloud of glowing gas and plasma, sometimes several hundred light-years across, in which star formation is taking place. Young, hot, blue stars which have formed from the gas emit copious amounts of ultraviolet light, ionizing the nebula surrounding them. HII regions may give birth to thousands of stars over a period of several million years. In the end, supernova explosions and strong stellar winds from the most massive stars in the resulting star cluster will disperse the gases of the HII region, leaving behind a cluster such as the Pleiades. HII regions are named for the large amount of ionised atomic hydrogen they contain, referred to as HII by astronomers (H I region being neutral atomic hydrogen, and H2 being molecular hydrogen). HII regions can be seen out to considerable distances in the universe, and the study of extragalactic HII regions is important in determining the distance and chemical composition of other galaxies. 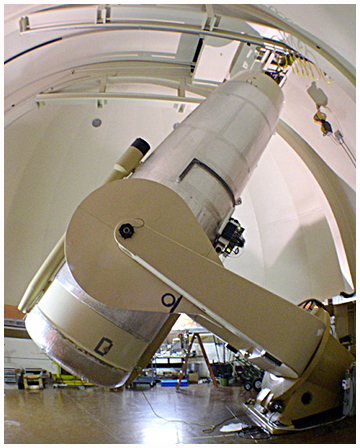 Many famous objects are imaged by amateur astronomers who are unaware that they are part of the Sharpless (SH2) catalog. The great Orion nebula, also known as Sh2-281, and the commonly imaged Flame nebula, known as SH2-277, are some of the December favorites. Six months later in the month of June, SH2-25, which is also known as The Lagoon nebula and the North American Nebula listed in the catalog as SH2-117, are in the sky. Some of the objects that Sharpless includes are not HII nebulae at all; instead they are reflected star light off a galactic dust cloud above and below our own galaxy. This is known as Integrated Flux Nebulae which Steve Mandel cataloged in his Unexplored Nebulae Project. There are a few Sharpless catalog numbers that fall into this, the largest labeled Sh2-178 near the North Star Polaris. I took all of these images on my web site using a number of different telescopes and cameras from my Deep Sky Remote Observatory. Today I use ACP Scheduler to continue working on the project. The schedule I set up is designed to capture these images under the best possible conditions.